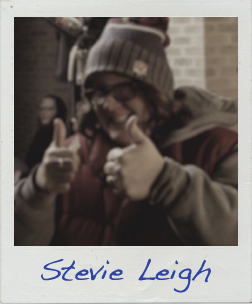 Stevie Leigh lives in Ohio—“the heart of it all”—surrounded by farmland, buffer zones and refuge zones. Other than being inundated with pesticides, herbicides and neonicotinoids, her homeland is quite peaceful and picturesque. She loves her wife, her son, her dogs, marijuana and dogs who love marijuana. Read the first page of Stevie’s story!